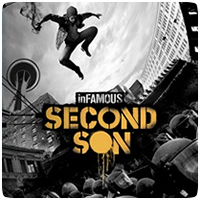 A new developer diary for upcoming PS4 title, inFamous: Second Son, was released, titled “Taking Control”, and shows how the new DualShock 4 controller is used in the game to introduce new gameplay controls and mechanics. The behind-the-scenes look at the game shows how the touch pad can be used to trigger certain powers. More news on the game will be revealed as we approach the 2014 release date – the game is expected to launch in February 2014.